Where the Protestants wanted reform, the Radicals wanted separation. This course examines those groups of the Reformation era that sought a complete break from the Catholic Church. Following a topical and historical progression, learners study the beginning of the movement, its development, and its various manifestations. Students gain insight into the tension between the Radicals and the Reformers that led to the rise of divisions within the church. The goal of the course is to understand more fully the shifts that have formed within the history of the church, enabling them to minister more effectively to contemporary church audiences. Understand the nature of the movement in the context of the 16th century. Define the meaning of radical Christianity in the context of the Reformation. Gain insight into the roots of the modern “Free Church” movement, which is important for a proper understanding of American Christianity. 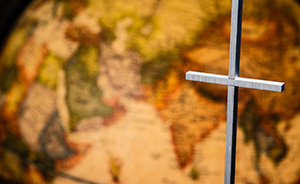 Gain a historical perspective on current ecumenical dialogue within Protestantism.